Who is he? : Sylla is a 20 year old. He currently plays in France, for Toulouse, and is a left back, though his attacking qualities mean that he can sometimes be deployed as a left midfielder as well. He was born in Conakry, and plays his international football for Guinea. Back in 2013: Sylla made his debut for Toulouse late last season. At this point, the manager, Cassanova used him as a left sided midfielder and the player responded well with some solid performances, even scoring a goal. Strangely enough, he made his international debut before his debut for Toulouse, playing 78 minutes in a friendly against Senegal. This season, he has established himself in the starting line up for the French club and has been a good performer for them. He has made 17 appearances in the league, and scored twice, also chipping in with an assist. In the Cup, he scored a goal in the third round of the cup against Creteil in a 3-1 win away from home. Looking to 2014: Sylla has had a good solid start to his career in the second half of this year, and will be looking to continue his fine run of form. His versatility has been a major asset for him, as his manager has played him in defence and in midfield. If he continues to put in these performances, he will soon start attracting attention from some of the top dogs in Europe. Who is he? 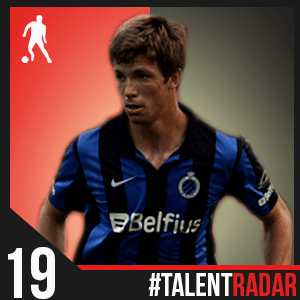 : This young Belgian centre back plays for Club Brugge at the moment. He made his debut for them towards the end of last season, during the play-offs. Back in 2013: As mentioned, Mechele made his debut towards the end of last season, but played all of 48 minutes in 3 play off matches. This season though, has been a different story. He’s been a starting member of the side more often than not, and completed 90 minutes on almost every occasion. He’s also been in the side for the cup games such as the Europa League qualifiers and the domestic cup. Unfortunately, his team has been unable to progress in either competition. Mechele is a well established member of the Belgian U21 team as well which is making waves across the continent. He played for 90 minutes in the impressive 3-1 win over the Italian U21 side too. Looking to 2014: Despite the fact that he was in the starting 11 more often than not in this season, worryingly for him, he lost his place towards the end of the year. His first goal for the new year will be to win it back, and keep it. After that, he can focus on putting in the performances that can catch the eyes of potential suitors across the continent. Who is he? : Tah is one of the younger players on our list, and at only 17 has a long career, and a big future ahead of him. 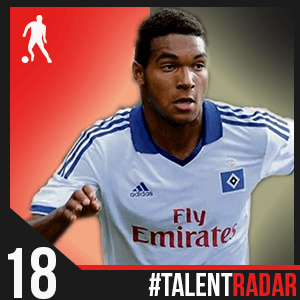 The young defender is eligible to represent both Germany and Ivory Coast, and plays his club football for Hamburg. Tah is primarily a centre back, but can also fill in at right back if needed. Back in 2013: Tah made his first team bow for Hamburg this season, coming off the bench late in the defeat to Hertha. He made his first start almost a month later, as Hamburg went down to Werder Bremen. Ever since that game, the 17 year old has been a fixture in the side, and has played out 90 minutes in every game. He’s played a vital role in their progression to the quarter finals of the Cup as well, playing the full 90 minutes the the 2 previous round. He’s chalked up an assist while he’s been at his defensive duties too. He’s represented the German age group teams, most recently playing for the U17’s. He hasn’t seen action for the U19’s yet, but by the looks of things, it can’t be too far away. Looking to 2014: Tah has done very well to find a starting spot in the Hamburg side, and will do well to hold onto it. If he can, he’ll want to try and play for the German U19’s and possibly U21’s as well. Tah is still only 17, and can expect to achieve a lot in his career, which has miles to go. Who is he? 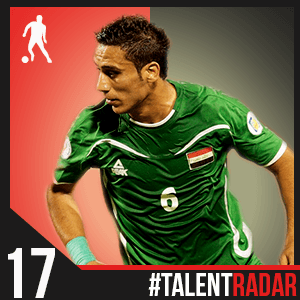 : Known as the Asian Gareth Bale, Adnan is an Iraqi left back, currently playing in Turkey for Caykur Rizespor. Adnan is only 20, but has already been capped 17 times by his national team. Generally a player who prefers to attack, he can also play on the left side of midfield. Back in 2013: Ali Adnan had a fine U20 World Cup with Iraq in the summer, scoring twice in the tournament as the team went all the way to the semis, losing out to Uruguay on penalty kicks. For the senior team, he was a regular fixture in the side for their Asian Cup Qualifiers, getting sent off against China. In the summer, he made the move to Turkey to join Caykur Rizespor, and has done well in the Turkish Super Lig. In his 17 appearances this campaign, the left sided player has scored 2 goals, and managed to set up 2 as well. His best performance came in the game against Erciyesspor, where he scored one and set up one to lead his team to a 2-1 win. Looking to 2014: Adnan had a good 2013, both domestically, and internationally. He’ll be looking to build on that in 2014. Having moved to Caykur in the summer, it is unlikely that he will be transferred again, and that’s a good thing, as he needs to grow a little more as a player before making the inevitable step up. Who is he? : Rudiger is a 20 year old centre back, who can opt to play for either Germany or Sierra Leone as a full international. The defender plays for Stuttgart in the Bundesliga. He has represented the various German age groups as a youth player. Back in 2013: Rudiger initially broke into the team towards the end of 2012, but became a regular in the side from around March this year. He had a good run of starts towards the end of the season, but missed the last 2 games due to suspension. Upon his return from the 3 match ban, he regained his place in the starting 11, and had a good run of games, before earning another 3 match suspension for a red card received against Hamburg. All in all, he’s managed to get on the score sheet once in his 12 league appearances. Internationally, he’s been a fixture for the U21 side, helping out with a goal as the team have had a great year. 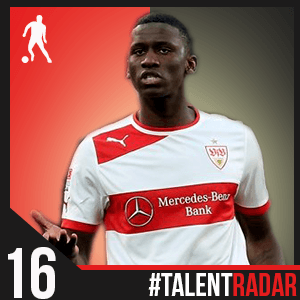 Looking to 2014: Rudiger has made his place in his club side, and performed admirably for Stuttgart, but has been a bit inconsistent. He will look to build on his performances from last year. The senior team looks like it could be a while away for him, with all the quality players they have there. Who is he? : Doria is a 19 year old centre back. 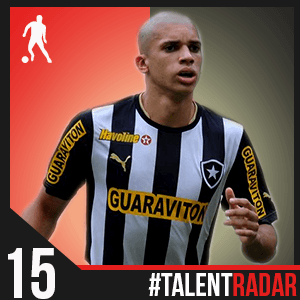 He currently plays for Botafogo in Brazil, and is a capped international for the Brazilian national team as well. Standing at 1.88 m, he is a regular fixture in the club side. Back in 2013: Doria broke in an established himself as a name to watch out for in 2012 itself, and so 2013 was all about cementing that place and building on it. He started the season outside the starting line up, but soon made his way back in. He made 29 appearances over the course of the Brazilian Serie A this year, scoring once, seeing out 90 minutes every time he started the game. He also made his international debut for Brazil, coming on as a late substitute in a 4-0 win against Bolivia. Looking to 2014: Doria has done well this year to establish himself in the Botafogo line up, and even earn a national cap. He’s been linked with the likes of Barcelona, Spurs and Chelsea, and a move may be on the cards. Further appearances for the national team may not be so forthcoming though, especially because of all the quality centre backs at Scolari’s disposal. Doria will look to continue his consistent performances, and secure a move to a bigger stage to showcase his talents. Who is he? : Karim Rekik is a 19 year old Dutchman who was born in Rotterdam. He is of Tunisian descent. 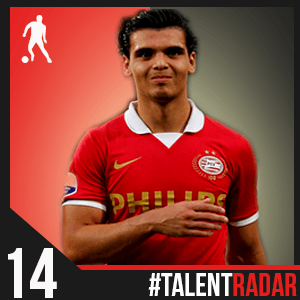 Rekik is a centre back who is at PSV on loan from Manchester City. Back in 2013: Rekik was at Manchester City at the start of the year, but soon left to join Blackburn, in the Championship, on loan from the Citizens. He stayed there until the end of the season, making 5 appearances for them. He didn’t really manage to break into the side at Blackburn. At the start of this season, he was loaned out to PSV for the duration of the 2013-14 year. he has been a regular started at the Eindhoven based outfit. He’s made only 11 league appearances so far in the league due to the fact that he was set back by an injury and missed all the action in September and October. But he had not trouble regaining his place in the starting line up ever since his return from injury. He’s also managed to find the back of the net once. He’s been regular for the Europa League as well. Rekik also made 3 appearances for the Netherlands U19 team, scoring once in a 6-0 victory over the Czech U19 team. Looking to 2014: For the first half of the year, Rekik will be focused on putting in his best for PSV as they try to get into the Champions League places. He does have an opportunity at City if he can persuade the Pellegrini of his talents in the summer. City do probably need another centre back, with Demichellis and Lescott not really looking convincing at times, and Kompany and Nastasic being troubled by injuries. Who is he? 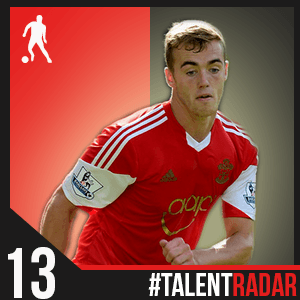 : Chambers is an 18 year old right back who plays for Southampton. The player is an Englishman, and has been making waves in the Premier League this season. He made his debut back in 2012, but has been a bit more prominent this year. He’s also the captain of the England U19’s, making 13 appearances for them and scoring twice. Back in 2013: Chambers didn’t make any Premier League appearances last season, but was prominent in the Premier league’s U21 Elite Group, which is quite a feat, because he’s still 18. He was also a key part of the England U19’s set up as their captain. This season though, this prodigy from Southampton’s famed youth academy has made an impact. He’s got the opportunity to shine in the BPL, making 10 appearances in the top flight. Clyne’s injury, and Ward-Prowse’s positional shift meant that he got the opportunity, and has grabbed it with both hands. His endless energy and running have won praise from all quarters and he’s been touted as a future England right back. Looking to 2014: With the return of Clyne, Chambers may find it hard to keep his starting place, but after the performances he’s shown, there’s no reason to believe that he won’t be able to hold onto his place. Chambers has a bright future ahead him though, and he’s only 18. He will do well to stay at the club for a few more years to develop a little more. Who is he? : Umtiti is a central defender. 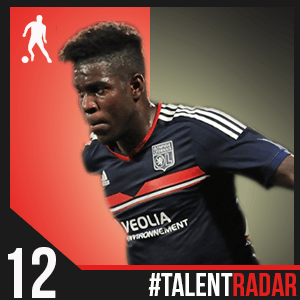 The 20 year old plays for Olimpique Lyon in Ligue 1 and has played for the French age level teams. He was a part of the side that won the U20 World Cup in the summer. Back in 2013: Samuel Umtiti has been an established part of the Lyon team since last season. He has made a number of appearances for the side and almost always finishes 90 minutes for them. Umtiti has been a key part of the Lyon side that has been flailing. Umtiti featured in all of Lyon’s Champions League and Europa League games in mid-2013. Despite the side’s performance being under-par, Umtiti has been a shining star, gaining some valuable experience. He made 5 appearances for the French U20 team in their successful quest for the tournament victory. Sadly, he missed out the final after getting sent off in the semi final win against Ghana. Aside from the U20’s, he also featured for the U-21s in a couple of qualifiers. Looking to 2014: Umtiti will be hoping to continue his regular run of games for Lyon in the second half of the 13/14 season, and look to carry that into next season. He is sure to be a regular name in the rumour mills in the summer. A French senior team call-up will remain the objective, but that is unlikely until after the World Cup in Brazil. Who is he? Denswil is a 20-year-old centre-back, currently playing for defending Dutch champions Ajax, and is also a regular with the Dutch youth sides. Back in 2013: Stefano Denswil spent the beginning of 2013 playing for Jong Ajax (the reserve team) and grabbing the attention of the youth coaches there. They were impressed enough with him to call him up to train with the first-team for the start of the 13/14 season. A month later he was given his first start for the senior side, and he hasn’t looked back since. He has established himself in the first-team, starting 10 of the next 12 games as Ajax rose to the top of the table following a slow start. 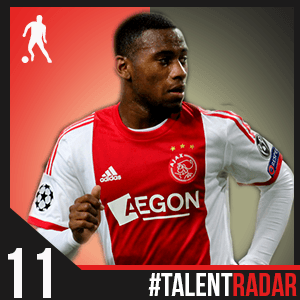 In the 12 games that he has appeared in, Ajax have kept 7 clean sheets with Denswil an important stoke in that wheel. Denswil also started 5 of Ajax’ 6 Champions League group games, scoring a stoppage time equaliser against AC Milan at the Amsterdam Arena. 2013 also marked the year Denswil established himself in the Dutch U-21 side, starting all the 10 games he was called up for. Looking at 2014: Having secured a place in Ajax’ first-team, Denswil will be looking to ensure another Eredivisie title and continue with the first-team the following season. As for most, Denswil will be hoping for that coveted call-up to the national team, obviously, post the World Cup.